Arizona Revenue hits $10.1 billion during the fiscal year ending June 30, eclipsing the former record of $9.6 billion set in 2007. Arizona’s economic news just keeps getting better in 2018. In recent months, Arizona’s economy has improved substantially in recent months–enough for state growth projections to be revised in an upward trajectory, according to a new report from the Governor’s office. A preliminary assessment last month by the Joint Legislative Budget Committee indicates Arizona government revenue hit a record $10.1 billion during the fiscal year ending June 30, up 7 percent over 2017 and surpassing the prior record in fiscal 2007 of $9.6 billion. According to Glenn Farley, chief economist for the Governor’s Office of Strategic Planning and Budgeting, r ising personal incomes and wages, strengthened by a tightening labor market, faster economic growth and moderate inflation are supporting esurgent consumerism, which in turn is fueling robust growth in state tax revenues. While Arizonans enjoy the flourishing economy, Farley released a commentary last week that confirmed major economic indicators suggesting a significant improvement in In Arizona’s economic growth rate since late 2017. 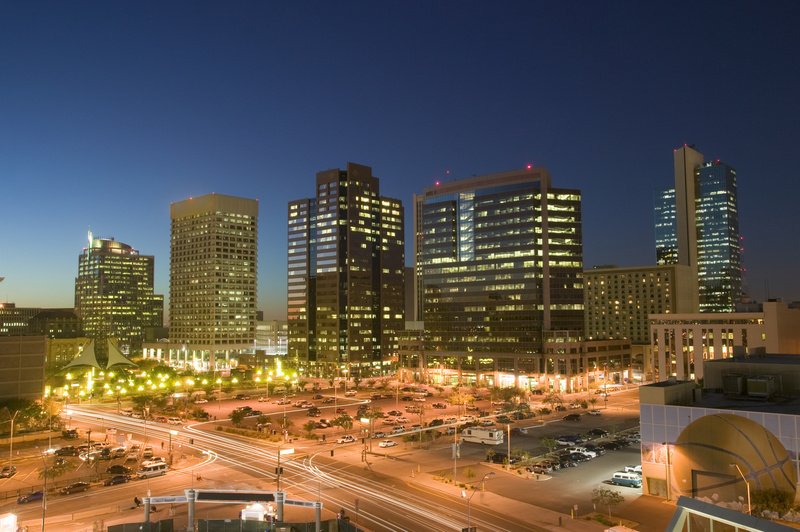 As the state’s economy continues to expand in 2018 with no recession risk in sight, Phoenix continues to enjoy job gains and population growth, according to a recent Arizona State University forecast. Arizona placed among the top 10 states in 2017 for job creation, domestic in-migration, population growth and other key measures, with further momentum likely this year and perhaps beyond.